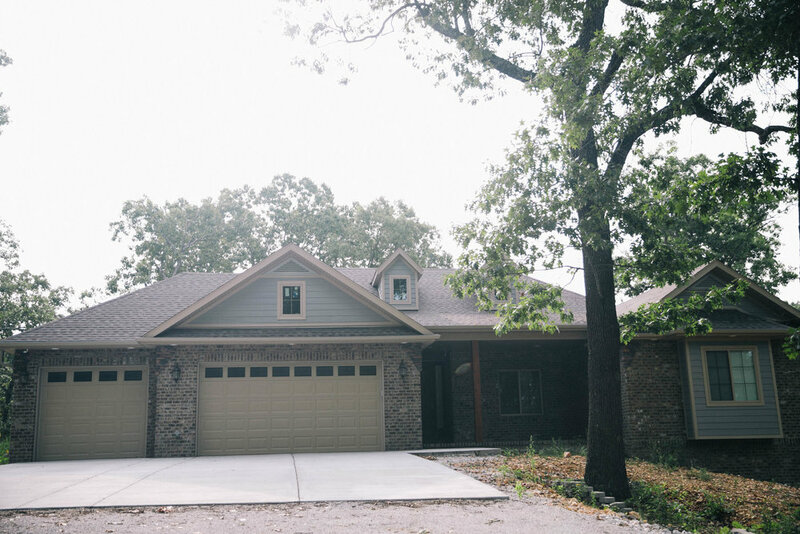 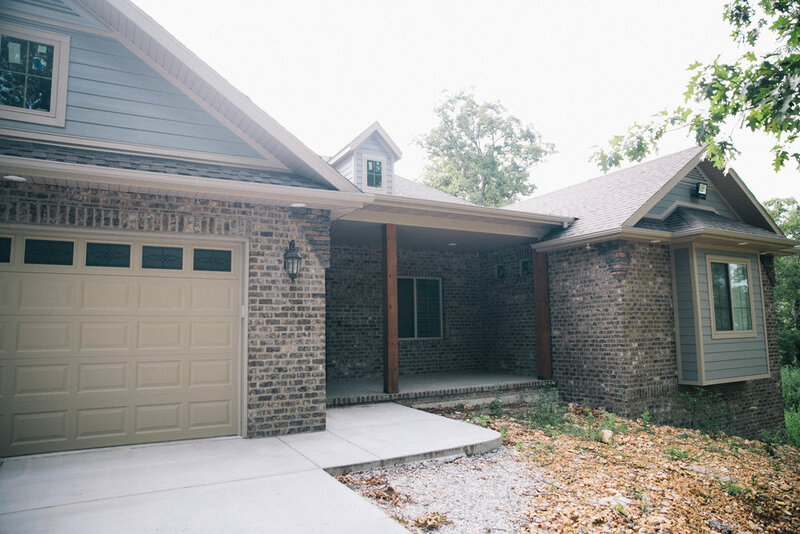 Tucked in the trees on the Ozarks Hills, the Timber Brick Woodsman incorporates charcoal grey brick, stone, earth tone James Hardie siding, and pine timbers. 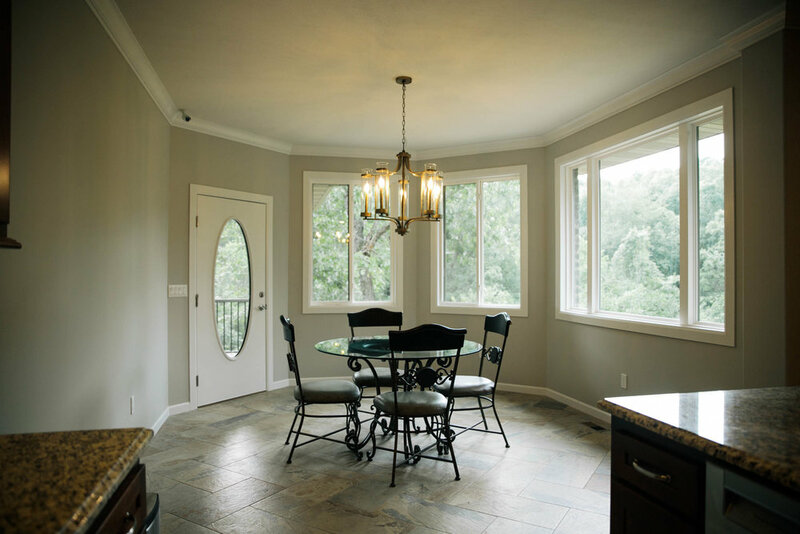 The random width hickory floors continue that theme on the interior. 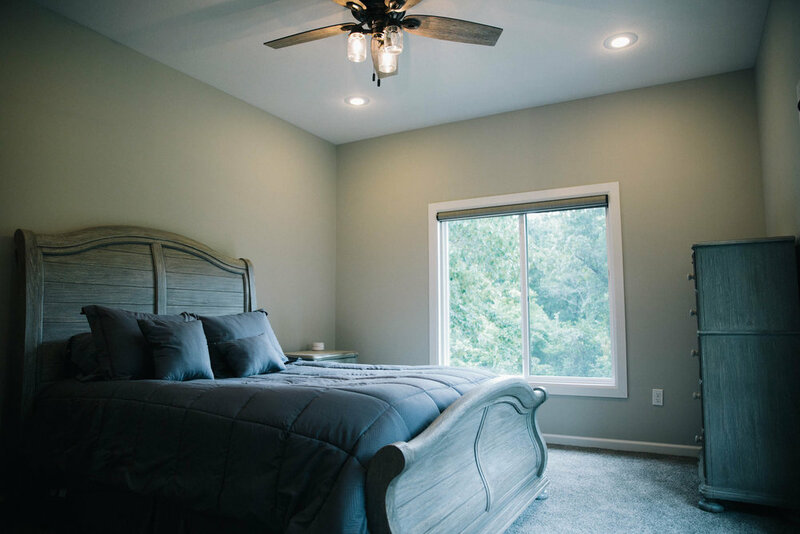 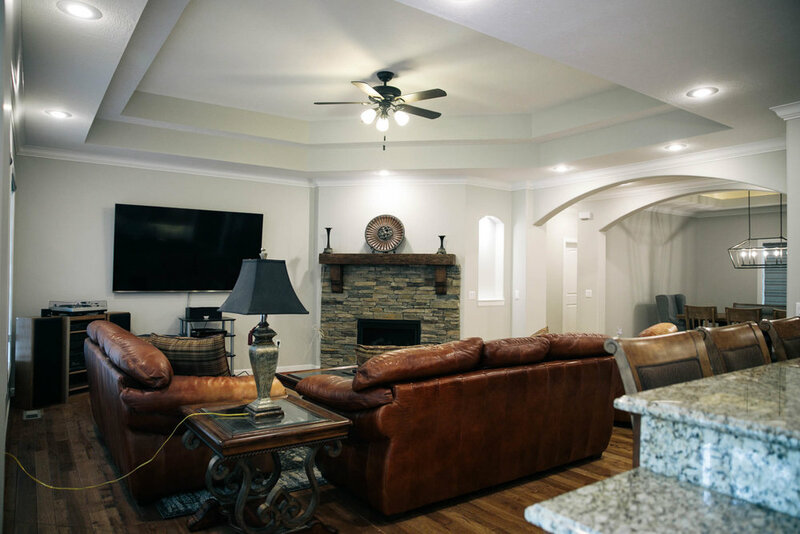 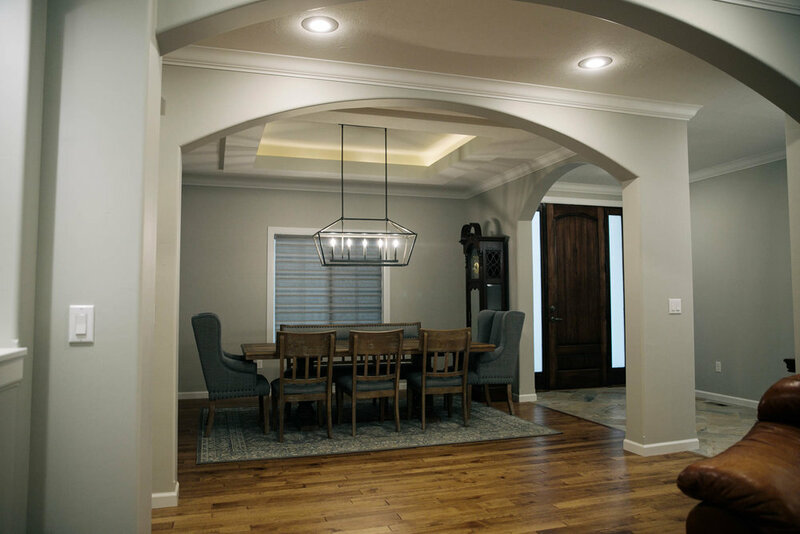 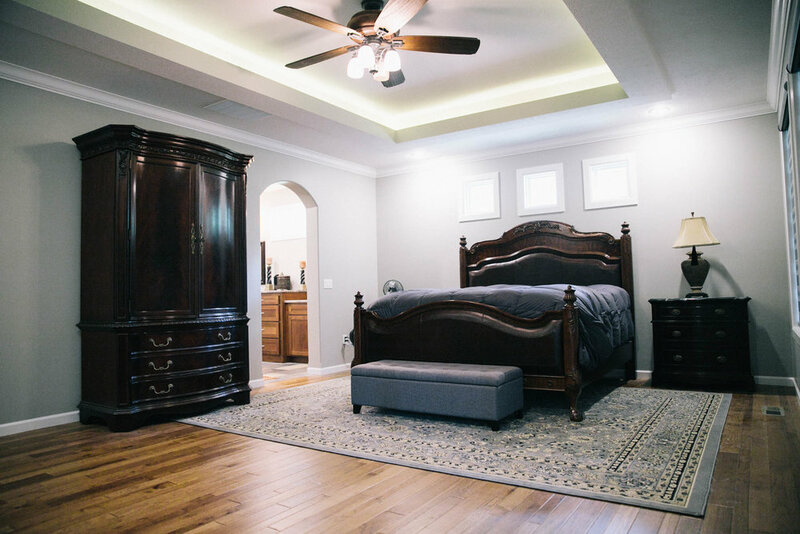 Custom features include crawford ceilings, archways, Cherry wood cabinets, and an enclosed back porch to take in the setting.